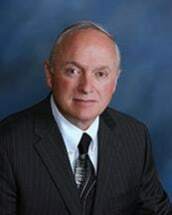 Lakewood and Denver area attorney James L. Finegan has over 30 years of legal experience helping clients in all types of cases with personal attention and care. He is admitted to practice in Colorado state and federal courts, as well as in New York. A tenacious advocate and litigator, Mr. Finegan represented the prevailing party in Schlitters v. State , 787 P.2d 656 (Colo. Ct. App. 1989). In that case, Mr. Finegan's client sued the state and the highway department for negligent design, construction, maintenance, and improvement of a piece of a highway where a boulder hit the client's car. The trial court dismissed the case, but Mr. Finegan's appeal resulted in the Colorado Court of Appeals overturning that decision, and holding that a motorist was allowed to sue the government for dangerous conditions on a highway. This ruling represented a major shift in the law in favor of private citizens due to Mr. Finegan's advocacy skills. Mr. Finegan is a graduate of the University of Denver College of Law, and serves as a member of the American Bar Association, the Colorado Bar Association, and other organizations.